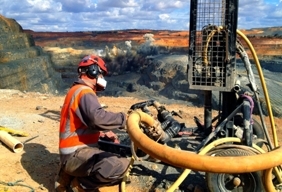 The Fimiston Mine operation, commonly referred to as the Super Pit, is the largest open cut gold mine in Australia and is expected to be over 1.35km long and to a depth of over 500m. 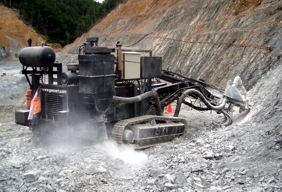 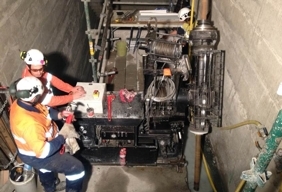 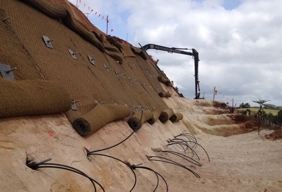 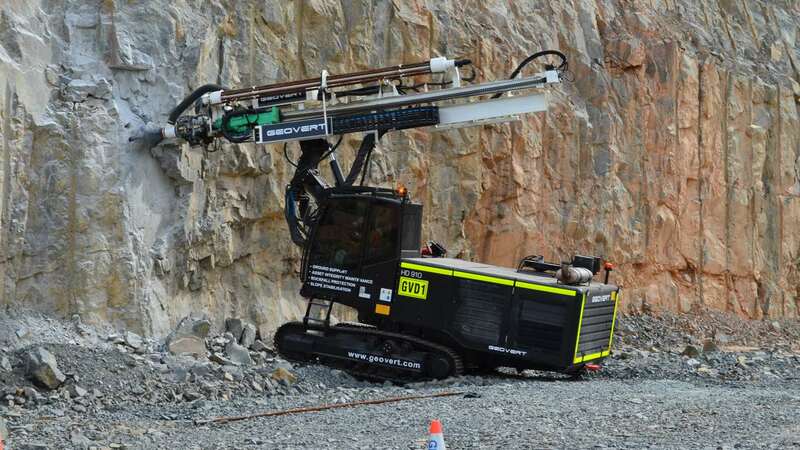 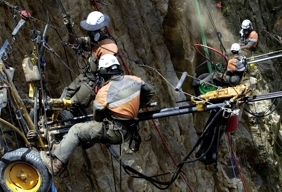 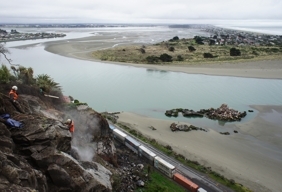 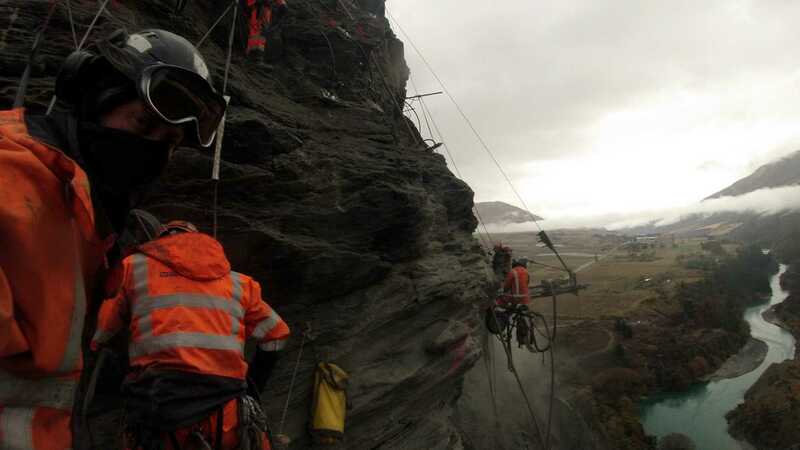 After a rockfall event in the South East Corner of the Chaffers Cutback, mining operations ceased with immediate effect to allow for a thorough risk assessment to be completed and to discuss engineered solutions to allow mining to continue beneath the 240m high wall. 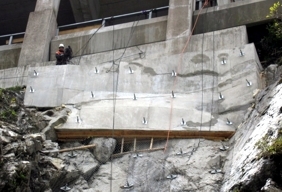 The design had to take into account potential loss of performance in the drape system due to the sheer height of the slope, over 270m in length, reducing the strength of the drape by pretensioning the system under its own weight. 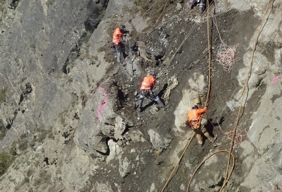 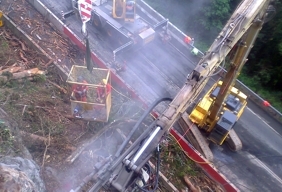 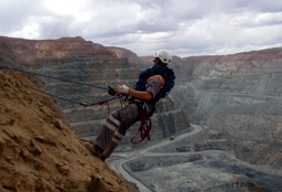 To mitigate this, vertical cables were designed to transfer the load back to anchorage at the crest. 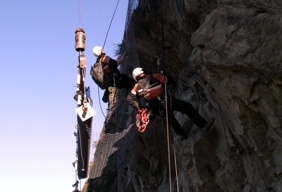 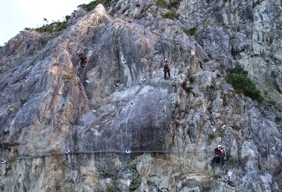 This allowed the design boulder to be controlled during a potential rockfall between the mesh drape and the rock face, without compromising the system with the loads transferred through the mesh and into the top anchors and cables. 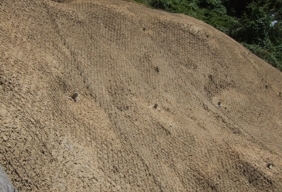 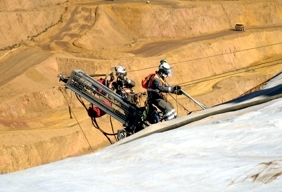 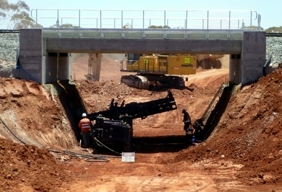 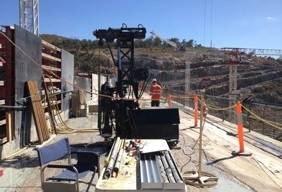 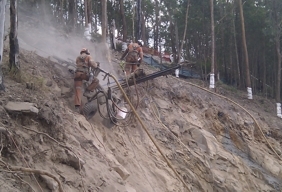 Several critical factors had to be considered to undertake construction including the extreme Goldfields heat which reached temperatures over 55 degrees on the face of the pit wall as well as the length of the work area meaning a significant section was out of the crane’s reach and required technical rigging systems for mesh application.